To me, camping means a lot of work trying to put the tent together and adjusting to uncomfortable sleeping arrangements. But the fact that I last went camping 20 years ago on a college student’s budget might have something to do with it. I was definitely overlooking the more comfortable equipment available back then. However, after doing some research, I must say that the options for equipment have improved a lot. Even a non-camper like me got interested in buying it and going on an adventure. Read all about the gear that sold me on camping – again! One thing that I have learned over the years is that spending a little more on quality pays off. More expensive items end up being cheaper in the end because of their durability. The first couple of items on my shopping list for an outdoor adventure with my family were a tent and a sleeping bag. They both have to be comfortable and durable. The sleeping bag also had to the least amount of space possible and to keep you warm if the ground and air is cold. 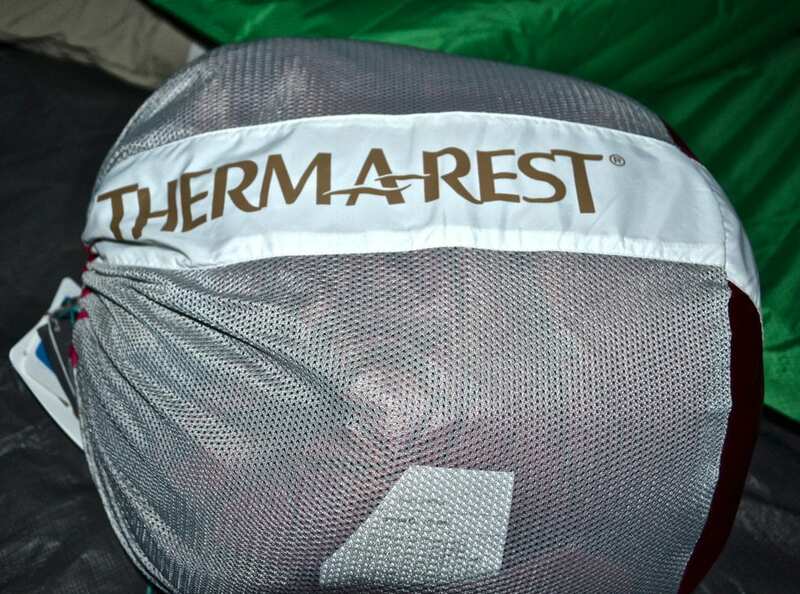 Searching for the perfect sleeping bag, I found Therm-a-Rest! They offer many state-of-the-art camping supplies, with a strong emphasis on sleeping bags and insulated air mattresses. Women and men are built differently, so when it comes to equipment it makes sense that we need different stuff. But many companies still don’t provide products specifically designed for women. Instead I learned that most of their sleeping bags are marketed as unisex designs. That’s why Therm-a-Rest instantly caught my eye. They have a whole section of sleeping bags for women. I found three options three season synthetic sleeping bag, three season down sleeping bag, and all season down sleeping bag. 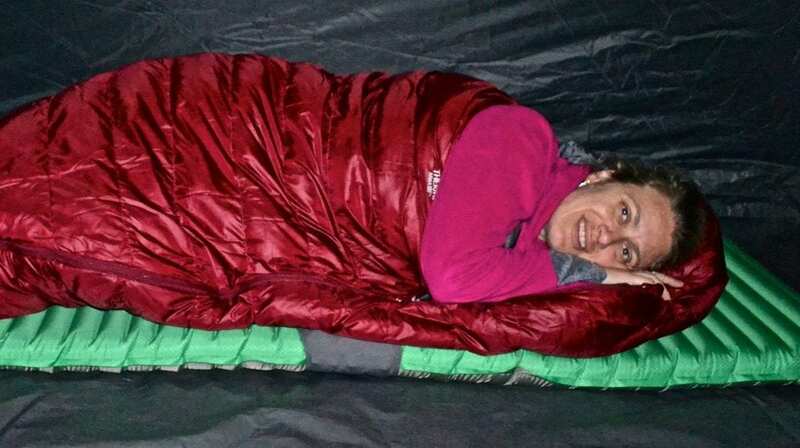 My choice was the Mira HD Three Season Women’s Down Sleeping bag. 1. Down – All of our blankets at home are down. I love it! Even in a subtropical country like Guatemala, it can get chilly. Down keeps us warm. Plus, it is so light. 2. Three season – One thing you can be sure of is that I won’t be camping in frigid weather any time soon. So a three season sleeping bag was just right. 3. Light – When I first got this sleeping bag it was way lighter than I thought it would be and when you roll it up into its bag it takes almost no space. 4. 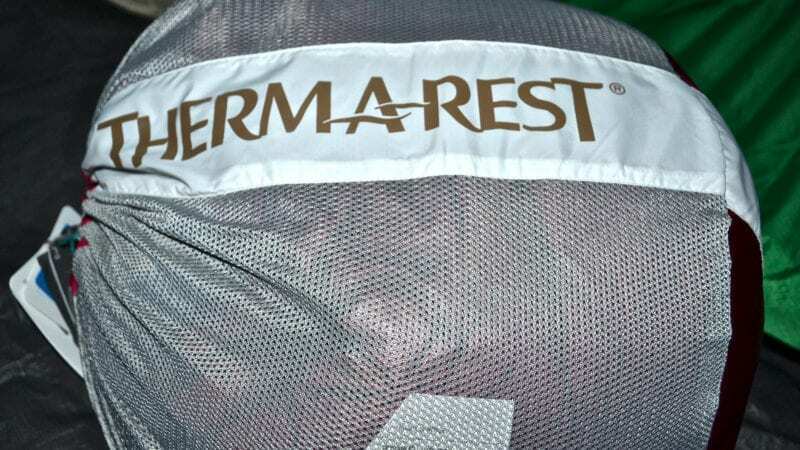 Sleep Guarantee – I realize that this might sound silly but Therm-a-Rest actually has a better sleep guarantee. Plus I believe that getting the proper sleep is everything. I won’t be a happy camper unless I sleep well. 5. Mattress amenity – The sleeping back comes with two belts used to secure it to the inflatable mattress. I always hated having to carry a heavy and bulky air mattress. It is a burden and can really take away from the joy of traveling (light). 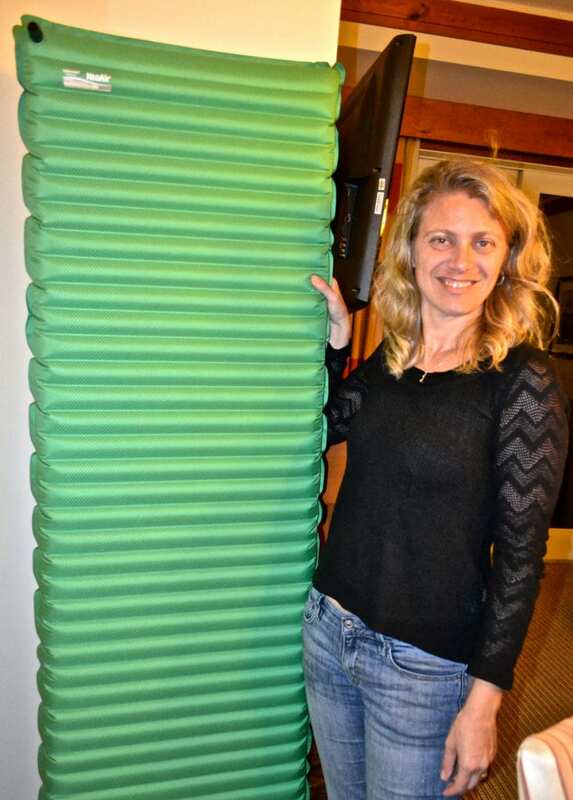 But, after reading about their NeoAir All Season Inflatable mattress I was instantly hooked. This time I decided to get an all-season one. I didn’t want to risk letting the cold from the ground to go through. So it made a lot of sense to me. 1. Weight – It is only 2.3 ounces. My five year old can carry it around. 2. Size – It becomes a tyni cylinder when deflated and fits in the sleeping bag pouch. 3. Technology – This part actually fascinated me when I first learned about it. They use a Triangular Core Matrix™ technology. This means that it has over 100 insulating cells and multiple ThermaCapture layers that capture heat, resulting in an incredibly high R-value. 4. Pump – It comes with a teeny tiny pump that blows it up for you in seconds. 5. Comfort – It is so comfortable! I’m not kidding when I say that after testing it on our camping trip in Vermont my son preferred it to sleeping on the mattress over the comfy beds of hotels. 6. A Perfect Fit – It is actually designed to go perfectly with their sleeping bags so you won’t slip off of it in the middle night. This set of sleeping back and pad completely changed my attitude towards camping. And I’m so grateful for it. Yes, when you go to their web site you will see that their prices are higher than the cost for other sleeping bags but after trying it I can tell you they are worth every penny.